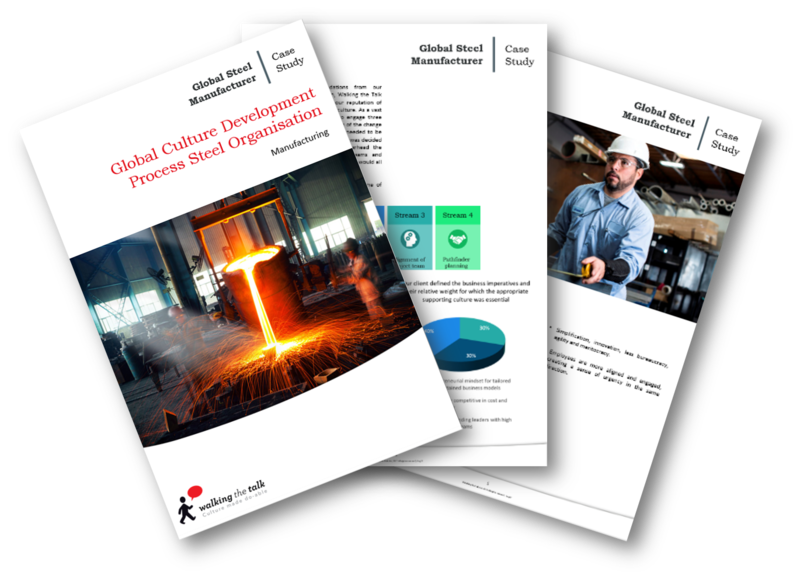 Thank you for your interest in the Global Steel Manufacturer Case Study. To download just complete and submit the form. Our client is one of the world’s leading companies of steel production and employs over 45,000 people globally. A family run business, with over a century in operation, the company responded to market demand in the early 2000s by acquiring a host of global companies and now has a presence in 14 countries. After the market crash in 2008, the steel giant faced two major challenges. Having an overcapacity of steel, their revenues decreased and profitability dropped. At the same time, China and Russia entered the market with high volume, low-cost model, which forced our Client to rethink their strategy. Their Merger & Acquisition strategy focused on companies who were struggling and others where they could apply their ‘Company process and culture' effectively.